Most distributors struggle to find the right balance between carrying too much stock of low demand items and having too little stock of high demand items. Both situations are very costly to the business. 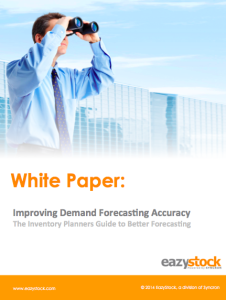 This guide addresses important demand forecasting topics that can help distributors manage their inventory smarter. Complete the form to download the guide.